For many, the stress associated with dental care has little to do with what happens in the chair, but rather the bill that comes afterward. This is why more than 60% of the U.S. population has invested in some kind of dental insurance to help them save whenever they take care of their teeth. What many people do not know, however, is that there are a few simple tricks that can help you get the absolute most you can out of your dental benefits. What are they? 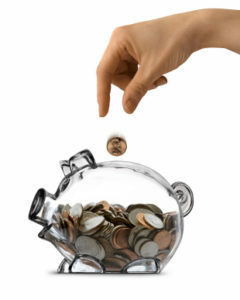 Keep reading to see how you easily can save thousands with your dentist in San Antonio. While each person’s individual dental insurance plan is different, they probably have at least one thing in common: they completely or mostly cover preventive services. Dental insurance is focused on helping people avoid dental issues rather than just treat them as they pop up. This approach is better for everyone because not only are preventive services like checkups and cleanings much cheaper than restorative care, but it also helps keep the teeth healthier over time, which is the point of insurance in the first place. Basically, if you mostly use your insurance to cover your two recommended visits each year, you’ll be getting the most out of your benefits and taking the best care of your smile at the same time. Many dental insurance plans have what is called an annual maximum, which is the highest dollar amount of care it will cover per person, per year. This amount, on average, is about $1,250, but most people only receive about $323 worth of dental care each year. When the end of the year comes around, all that leftover money goes straight back to the insurance company and doesn’t roll over. Every year, Americans lose about $150 billion in unused dental benefits. What does this mean for you? It means that you should be sure to use all the benefits you have paid for each year! The average annual maximum is usually enough to cover two checkups and cleanings as well as a sizeable portion of any restorative work needed. In other words, don’t leave money on the table! At Laith Family Dentistry, we are happy to accept dental insurance plans from a long list of providers. We’re in-network with all PPO plans, and we’re the home of your Aetna and MetLife dentist in San Antonio as well (we also accept Texas Medicare, Adult Medicaid, and CHIP). When you visit a practice that is in-network with your plan, they will be able to offer you significantly larger savings than an out-of-network practice. Being in-network basically means a practice has pre-negotiated fees with a provider, and this will help keep your out-of-pocket costs nice and low. 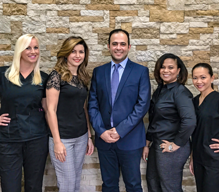 As a MetLife and Aetna dentist in San Antonio, Laith Family Dentistry is proud to make sure our patients never have to worry about their finances when taking care of their teeth. With these 3 simple tips, you’ll be able to get the most you can out of your insurance and make sure your smile stays healthy and beautiful for years to come. If you’d like to learn more about how we can use your particular plan to help you save at your next appointment, please contact us today.